City and Colour’s paradise is this summer’s song for me. I get nostalgic about summer when I hear it even though it isn’t even over yet. I have/had this fear of heights, but this summer has been all about conquering them. It’s still there, but that fear is something that could never stop me when it comes to city views from up high. Whenever I visit my financial advisor I get excited because she has one of the best office window view of downtown. 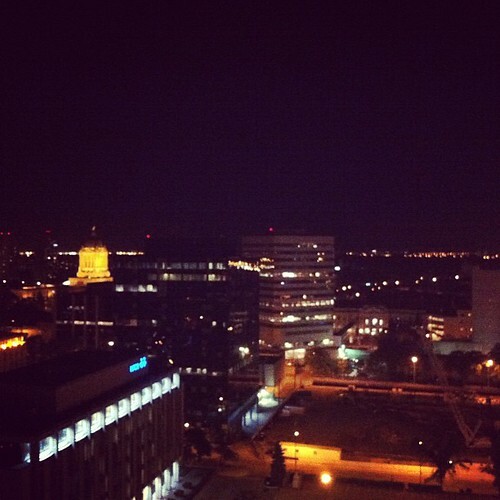 I’m also lucky to have a friend that lives on the 15th floor and this is the view. This entry was posted on August 26, 2013 by debbe. 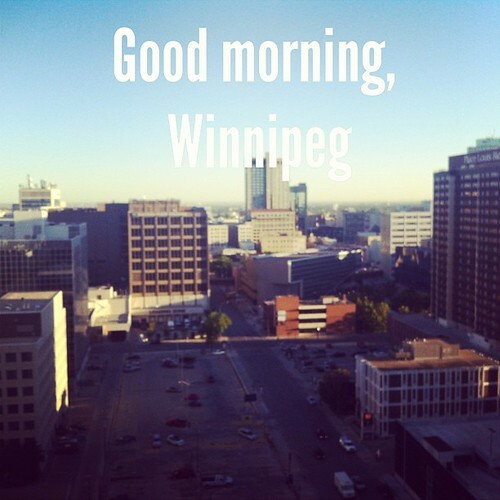 It was filed under 365, architecture, summer, Winnipeg and was tagged with city, cityscape, downtown, skyline, Winnipeg.